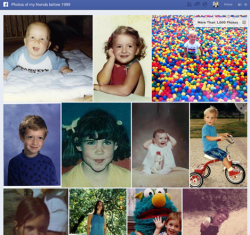 Facebook announcement: Graph Search engine is like a personalized Google. 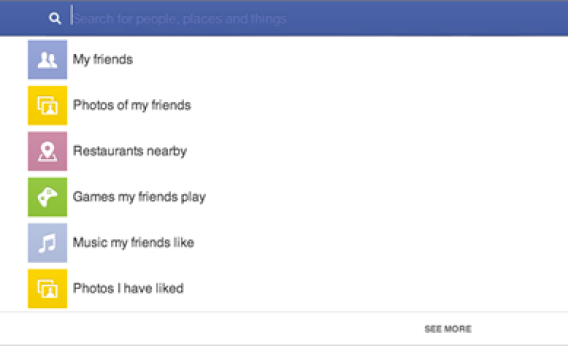 Facebook’s new “Graph Search” promises to do things that Google can’t. When Facebook recently sent a cryptic invitation to the media to “come see what we’re building,” it set off a storm of speculation. A Facebook phone? A redesigned site? New headquarters? A new search function? Turns out it was the last. And it could be big. In short, Facebook’s search will attempt to replicate the experience of being able to ask a question of all of your friends at once, as if they were all gathered in one room. And it actually goes beyond that, because it includes information from people you’ve never met, provided they’ve made it public (or available to friends of friends, or people who live in your city, etc.). And, of course, Facebook can recall and organize the information automatically and instantaneously in ways that your friends couldn’t. Zuckerberg said Graph Search will honor everyone’s privacy settings, so that it accesses only information that you would be able to see otherwise on the site. This is pretty much exactly what I was hoping for from today’s announcement. Zuckerberg called in the “third pillar” of the Facebook experience, with the first two being the newsfeed and people’s timelines (formerly profiles). It fits perfectly with his stated mission of making the world more open and connected. And it promises to deliver information that you could obtain no other way—certainly not from Google. How well it all works will depend not only on Facebook’s execution, but on how much information people make available on the site. That makes it all the more crucial that Facebook regain the public’s trust going forward. The more information people set to “private,” the less worthwhile the search results will be. Facebook is rolling out Graph Search in beta form beginning today for a limited number of Facebook users. Zuckerberg said it will initially be advertising-free. But if it succeeds, it could be the move that solidifies Facebook’s position among the Internet’s “big four,” alongside Google, Apple, and Amazon. More importantly, it could be the first new Facebook feature in a while that people actually really like. Oh, and get what happens when you search for something that it can’t find in your social graph: It delivers Web results via Bing. 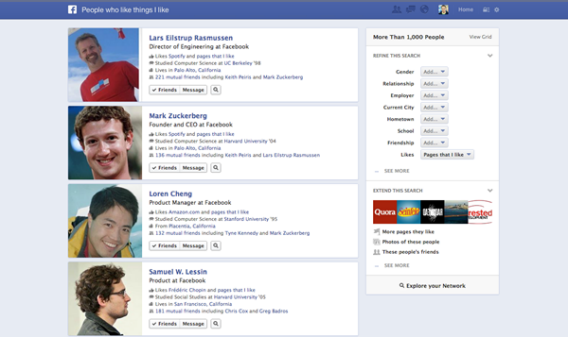 For more on Graph Search, check out the official announcement on Facebook’s Newsroom page.